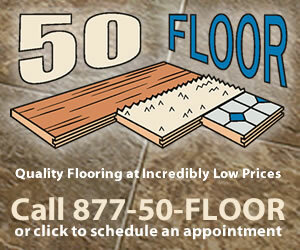 Excellent customer service and we love our floors! Our original sales person had a family emergency and could not make our appointment. The customer service team called to let me know immediately and sent the General Manager Shawn Harris out in his place. The shop at home experience was smooth and very easy. He was able to help us find a floor that we love and within our budget. They installed the floors a few days later and the installers were professional, quick, and clean. Product or Service Mentioned: Fifty Floor Manager. Review #1232009 is a subjective opinion of testimonial.